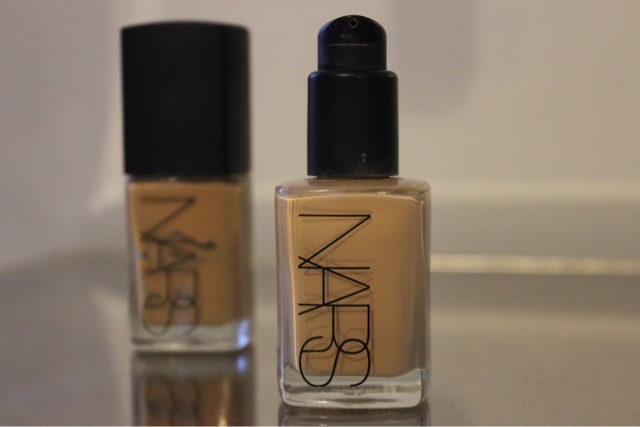 Review | Nars Sheer Glow Foundation - a little pop of coral. 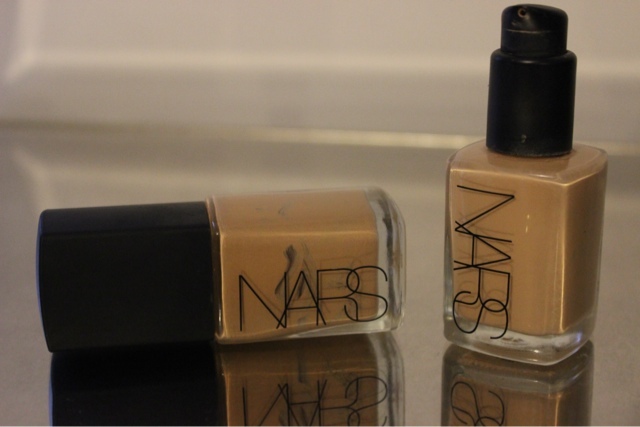 Having owned two shades of Nars Sheer Glow Foundation for just over a year now, I thought it was high time that I reviewed it. As you can see from the pictures, I am scraping out the very last drop so you can tell that these are very well loved indeed! I have the shades Punjab and Barcelona. Punjab is my winter shade for when my skin is at its lightest and Barcelona I use during the Summer when I have a tan. 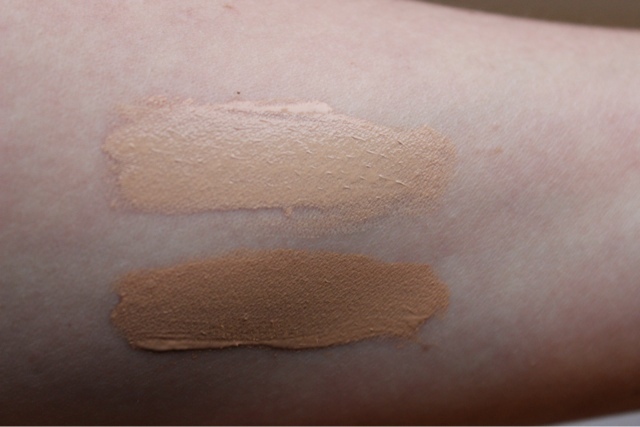 I will often mix the two together, to get the right shade depending on how light/dark my skin is. For reference my skin is about a Mac NC30 in the winter, warming to approx NC35-37 with a summer tan. I would say that this is a medium coverage foundation which does a great job at evening out my skintone, disguising any redness that I usually have and covers minor blemishes as well as any scarring. You would assume from the name, that it is very sheer, which is actually not the case at all. I am really not one for light coverage foundations as I really like to perfect my skin and this suits my requirements well. It does however have quite a lightweight formula (which is perhaps why they call it sheer), that blends into the skin well. I normally use my Real Techniques Expert Face Brush to apply this, which gives a beautiful seemless finish, however it also works well with just fingers too! The finish is quite fresh and dewy giving a certain radiance to the skin, without looking greasy or shimmery in any way. I have combination skin with a very oily T-Zone and this sits well on my skin, although I find I do need to use a mattifying primer on my nose area such as the Becca Ever-Matte Poreless Prming Perfector to prevent any slippage in this area. In all other areas it lasts practically all day even without a primer. I have fairly dehydrated skin and find this to be hydrating enough without settling into any fine lines or pores, providing a lovely canvas for the rest of my make-up. It does not contain any SPF which I personally love as have sensitivities to some chemical sunscreens so prefer to use a seperate one before application. This eliminates any worry of the dreaded ghost-face which can occur with flash photography, so suitable for both day and night. Another thing to mention is that I have not experienced any break outs with this, which I know is a personal thing but what I would say is that I am pretty sensitive and prone to break outs and this has caused me no problems at all. I really love this foundation and it has become a firm favourite in my make-up collection. The only thing I would say is make sure you buy the pump to go with it as you tend to waste a lot of product if you free pour it! Have you tried Sheer Glow? What are your thoughts? Previous Post Dried Out Liquid Liners? I Have A Solution!